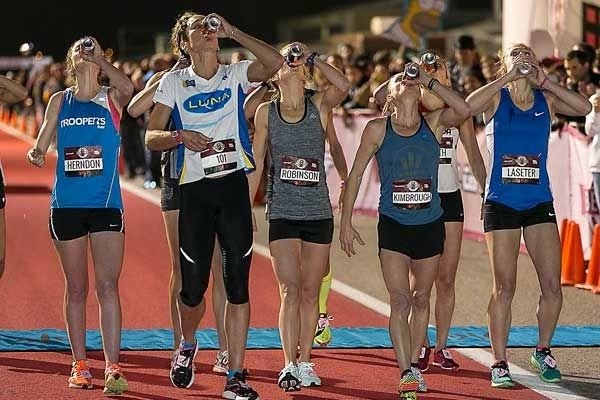 In a dizzying finish, American scientist Elizabeth Herndon set a new women's world record in the Beer Mile World Championships in Austin, Texas last week, breaking through a tight field to obliterate the previous mark by 11 seconds. In the men's race, Canadian mailman Corey Gallagher relied on fast drinking to separate himself from the field, turning in a time a hair over 5 minutes, just three seconds off the men's world record. Herndon, an environmental geochemist from Fort Wayne, Ind., used a steady pace and a strong final lap to pull away from several runners who had traded the lead back and forth. Her final time was 6:17.76. Her competitors included Austin native Chris Kimbrough, who made headlines last month when the 44-year-old mother of six set the previous women's world record with a time of 6:28.6. On Wednesday, Kimbrough struggled to keep up with her opponents' drinking and finished fourth. 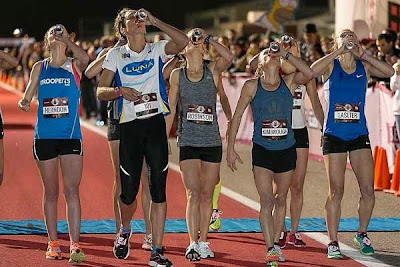 To remind you, the beer mile is an event that was for years a mostly private pursuit of uniquely motivated athletes, who drink one beer at the start of each of 4 track laps. 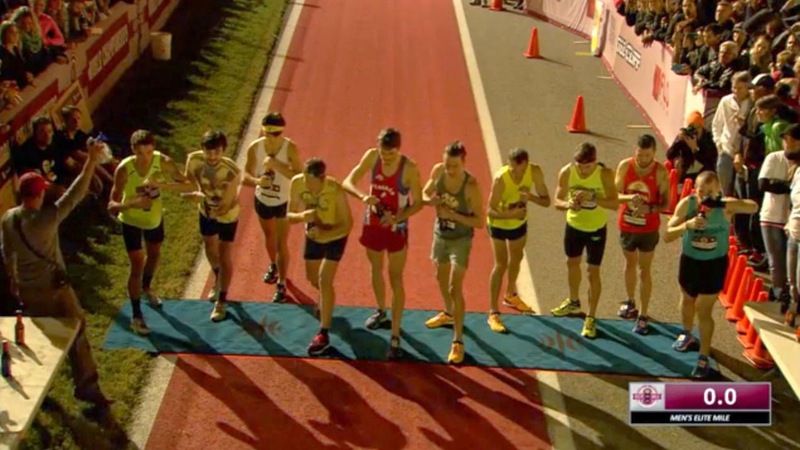 But it's grown more popular recently, and the beer mile went viral – or bacterial, one might say – when James Nielsen made a video claim to the first-ever sub-5 minute time (Nielsen did not compete in last night's race). And in case you're thinking these aren't serious athletes, consider that the men's field included an Olympian. Look who's three and a half today!